The team at Oxford Duplication highly recommended by Oxfordshire businesses for our passion about Film, Video and Audio. We support our clients in creating and delivering digital media support and experiences through creative processes to bring together the best out of your footage. Our post production staff can piece together your video and audio projects ready for marketing. DVD created from 1 video footage, auto play, no menu, audio chapters every 10 minutes unless specified. DVD created from upto 5 digital files, DVD menu design, play all feature, chapter points with text or thumbnails. Our dedicated and expert team at Oxford Duplication have years of video editing experience in producing corporate marketing and family memorable videos for DVD Blu-Ray or editable digital formats. Whatever your post production requirement in film and video we are confident in being able to support you with all your media requirements. Recent services include video evidence in highlighting areas for further examination, voice enhancements and clean ups of video footage. Oxford Duplication Centre specialise in providing a complete audio restoration, enhancement and recovery service for audio that is inaudible or requiring restoration. 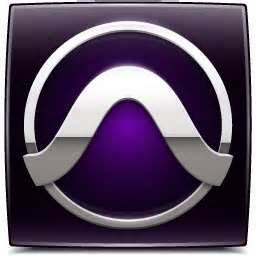 From providing quality sound restoration and audio enhancement, to professional editing and mastering services. If you require a more enhanced service then our audio restoration service is perfect for extracting even the most inaudible sounds.